On Saturday, December 16th. The Bunker Theatre in London are inviting members of HCUK to a special Christmas double-bill at their underground Off-West End Theatre in London Bridge. Founded by Joshua McTaggart (AB '13) in October 2016, The Bunker is a former underground car park transformed into a spacious subterranean 110 seat studio theatre complete with a bar. This December, The Bunker will be hosting two alternative Christmas shows (these ones aren't for the kids!) First is FCUK'D, a poetic and rhythmic solo show exploring the life of a young working-class man as he steals his brother away from their impoverished home in search of a better Christmas time. Partnered with the Hull City of Culture, FCUK'D shines a light on the all-too-real experiences of young working-class men in Britain today. After this one hour show, The Bunker are hosting the comedy duo WITT 'N CAMP. Nominated for the Les Enfants Terribles Award 2017, WITT N' CAMP is a "genius" sixty minutes of cabaret, character stand up, musical comedy, and burlesque: Perfect for getting you into the alternative Christmas spirit! For those of you who have not yet visited The Bunker, this would be a wonderful opportunity to support a recent Harvard graduate making creative and cultural impact in the London area. This event is being co-organised with the Recent Grads committee, and Joshua will be on hand that evening to give members of HCUK a behind-the-scenes tour and to update them about The Bunker's plans for 2018, including the world premiere of a new American play that feels strikingly pertinent given the last 18months of events. 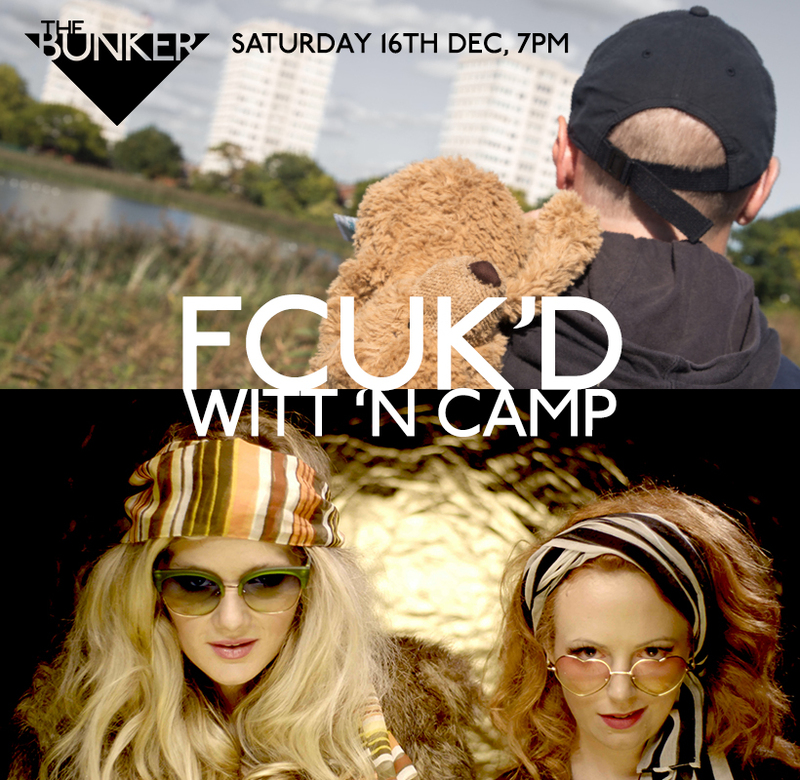 The FCUK'D and WITT 'N CAMP double bill is on Saturday, December 16th from 7pm, and tickets for the two shows cost £25. Click the links more information about FCUK'D and WITT 'N CAMP .